Enter into His Sanctuary with new arrangements of classical favourites. 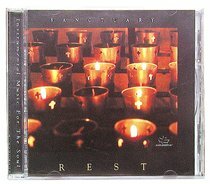 These timeless melodies and precious hymns will envelop you in the amazing beauty of God's rest. Discover a holy and joyous place to be with God, a place of renewal and relaxation.